The CucinaPro Imperia Series Restaurant Pasta Maker is designed for semi-professional use and therefore manufactured to the highest standards, to guarantee reliability and safety throughout its lifetime. The Imperia brand has become synonymous with durable household products, currently selling more than 25 items and every product is handmade Italian. 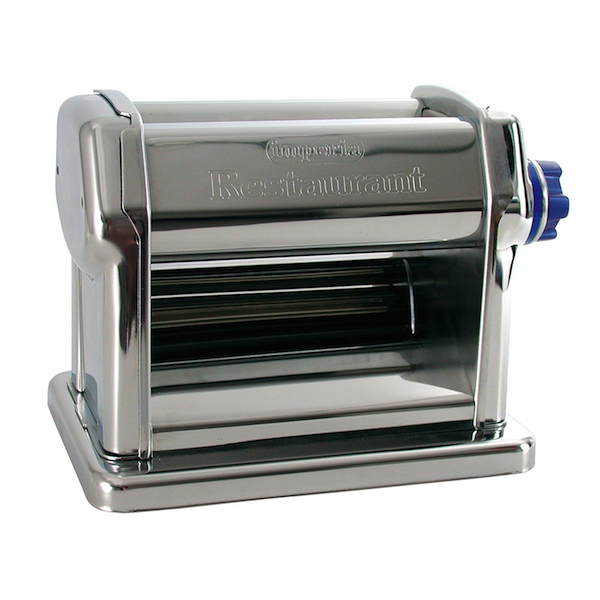 This pasta machine is the same kind used in home kitchens throughout Italy, specifically designed to ensure an unmistakable quality to fresh pasta.